I had been practicing a weekly sabbath for several weeks and started introducing my children to this discipline as well. For me, a sabbath was more than “taking a day off.” First, I wanted to make sure I wasn’t making anyone else labor on my day of rest, so that meant no restaurants or shopping. Consequently, I would prepare extra meals the day before so that things could be easily heated up and ready for the family. It meant I had to plan for the day, by not having things like homework, major chores, or such. So bringing the children into this practice took some time. But it was a rewarding practice for me, for them, and continues to this day. On a late winter Saturday afternoon it was a sabbath for the family, and the sun shone through the back window, warming my kitchen. 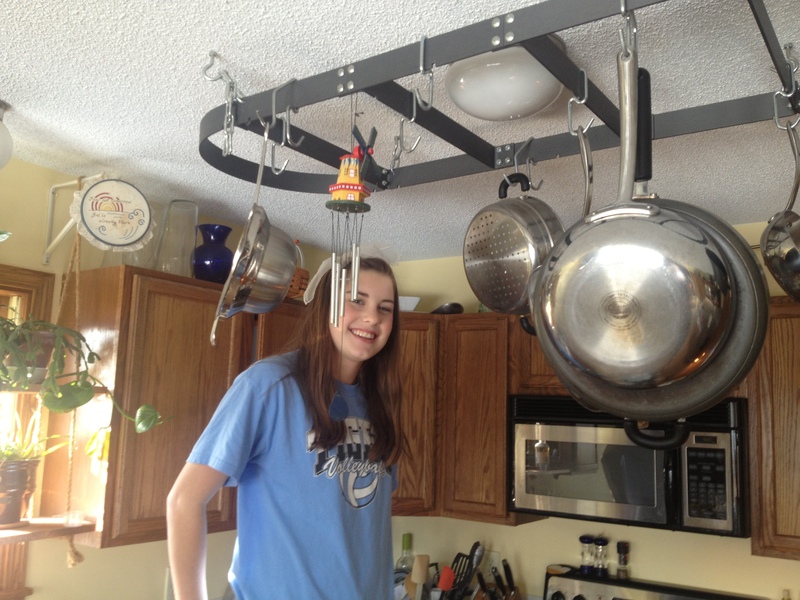 I turned from looking out the back door to looking into the kitchen, and I saw my daughter climbing up on a stool to ring a wind chime that hung from our pot rack. As the chimes sounded in the kitchen, she had a look of pure joy. She was maybe 7 at the time, and her smile warmed my soul. My initial thought was to tell her to climb down before she fell. My reaction was one motivated by concern, hence, love, but I then realized that perhaps that response wouldn’t come across as loving. I had been thinking earlier that day about God’s providence and a story from Richard Foster where he never saw his kids stuffing pancakes into their pockets. His point was that children at some instinctive level tap into a truth of God’s providence and His Kingdom. Therefore, they knew that the next meal would come and they needn’t ‘stuff pancakes in their pockets.’ I had been selfish often with my kids, putting my schedule ahead of theirs. I had said “no” to things like reading to them or playing with cars/wrestling or watching that cartoon one more time just because I would prefer to do something else. Despite my selfishness, here was my daughter in absolute rapture merely at ringing some chimes and bathing in the afternoon sun. And she loved me. Not one single disappointment from when I’d denied spending time with her showed now. If I hadn’t been going through such spiritual changes, I probably would’ve told her to get down from the stool because there was no logical reason for her to go through all that trouble and risk just to ring the chimes. So on my Sabbath, God had something to show me about rest and children. As I witnessed this scene unfolding I realized that Jesus said children enter the kingdom precisely because of her face now. Some things God made just to be enjoyed. And children respond to these with abandon, uninhibited and joyous abandon. Tags: sabbath, spiritual disciplines. Bookmark the permalink.